Fall For A Pit II : M.O.S.H. Pit KC Fundraiser: Be/Non * Schwervon * Standby Anchors /September 28 @ Recordbar (KC,MO) | Schwervon! 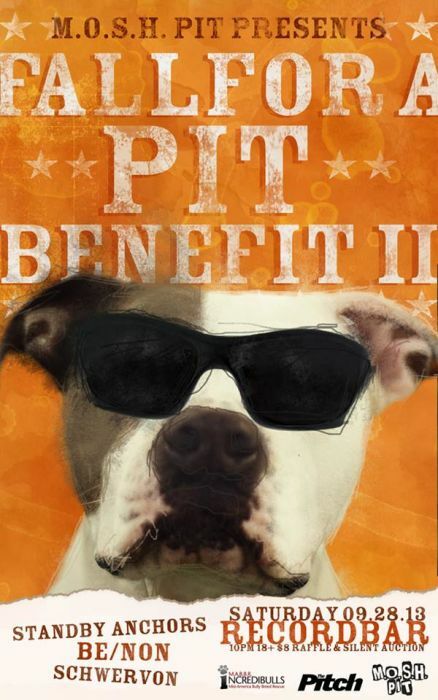 This entry was posted in Uncategorized and tagged assistance group, Be/Non, Benefit, Dogs, Fundraiser, Mosh For Pits, mosh pit, pit bull, Pit Bulls, pits, recordbar, rescue groups, Rock for Dogs, Schwervon!, Standby Anchors. Bookmark the permalink.